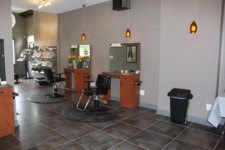 501 Salon & Spa is an Aveda Concept salon offering men’s and women’s haircuts, styling, color, facials, massage, nail care, waxing, and makeup – all the things to make you look and feel your best. Enhance your image and wellness! Dr. Kevin Wall providing dental services. Experienced residential real estate sales and marketing specialists. Whether you have general questions, are considering buying or selling, or want an experienced and professional opinion, let them know. Licensed to sell real estate in Ohio & Kentucky. Personal and business insurance provider. Dobbling, Muehlenkamp-Erschell Funeral Homes, Inc.
Our goal is to provide personalized service for each customer from head to toe in a unique space inspired by local art and jewelry makers. We are one of a kind just like you! 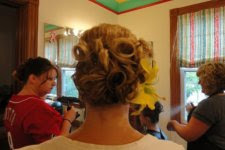 Embellish - to beautify by or as if by ornamentation; ornament; adorn. We are a full service custom framing studio. Frame and Hang Studio and Gallery established and up-and-coming artists from around the NKY and Cincinnati region. We feature an eclectic array of styles and subject matter that reflects the diverse variety of artistic expression. Jerry and Nona Clemons, owners and therapists, are committed to assisting you in creating more peace and health in your body and life. The goal is to help you achieve and maintain a strong sense of physical and emotional well-being. Massage therapy is an integral part of a healthy lifestyle and can greatly improve and enhance the quality of our lives. Offering fine hand crafted instruments, first class repairs and lessons. Interior designers, project consultants and purveyors of great design to surround your life with form, function and beauty. Unique items for purchase to help you express your personal style. Lucky Rabbit Studio is a highly recommended Bellevue owned advertising agency. With a focus on small business, Lucky Rabbit Studio offers design and advertising services that are typically only available to the big guys. Many of the graphics and posters on this website, and throughout the City of Bellevue, were created by Lucky Rabbit Studio. Wealth advocacy dedicated to one thing: Empowering Confident Action. Maize Music is committed to providing professional disc jockey entertainment, superior customer service, and prices that can't be beat! Melissa Quarles is a certified personal trainer, wellness, and nutrition coach offering personalized solutions for you. They make solutions as Cincinnati’s Video Agency, committed to elevating your brand. A leader in brand assessment, video production, post-production, and motion graphics. For over 125 years, St. John Church has practiced the extravagant welcome and radical inclusive love of God as taught by Jesus, the Christ. This is a place of second chances for people - just like you - to discover their full potential.